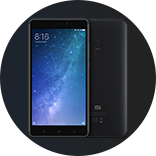 [Mi MAX2] FAQ, All You Need to Know About the New Mi Max 2, Read it Here! Mi Max 3. Issues after updating to Miui 10.2.1, Android 9.0. Updating to Miui 10.2.1, caused this issue with Toggle SG app? missing app on HOME screen when its turn on. where to find the hidden note in Note App? "No Signal " Issue after MIUI 10.2.1 updates..?